Empire Aviation Group (EAG), the Dubai-based aircraft sales and management specialist, was announced as the winner of the Service Excellence Award for Aircraft Sales and Aircraft Management Services - at the Gulf Aviation Networking Event (GANE) 2015. GANE, which was held at the Burj Al Arab hotel in Dubai on September 28th, was attended by senior aviation professionals from the GCC and wider Middle East representing the region’s major airport operators, commercial airlines and business aviation. The award was accepted on behalf of EAG by Executive Directors, Mr. Paras Dhamecha and Mr. Steve Hartley. Commenting on the award, Mr. Paras Dhamecha, Executive Director Empire Aviation Group, said: "We are delighted and proud that EAG was honoured at GANE 2015 with this service excellence award for business aviation. We continue to change the face of private aviation through our unique and very successful `asset management` approach, offering a one stop shop for aircraft sales and management. We launched in Dubai in 2007 and today, we operate across the globe including Europe, where have just opened our dedicated office in San Marino, and been awarded an Air Operator Certificate. Dubai continues to be the perfect location from which to build a global private aviation business." EAG operates of one of the region’s largest managed fleets of business jets (with over 25 aircraft) based in the Middle East, India, Africa, Hong Kong and Europe, with a dedicated sales office in the USA. 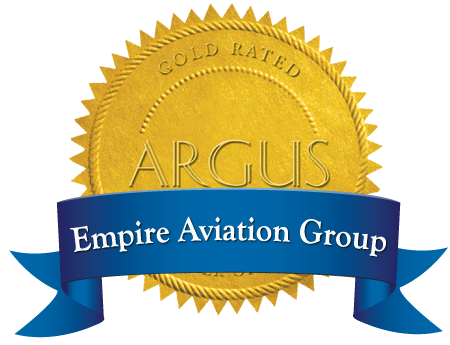 EAG now comprises a team of more than 150 experienced aviation specialists.